What do you make of a flashlight? I am sure that it is always important to have a flashright ready and waiting, where everyone in the house knows just exactly where it is in an event of an emergency. The thing is, do you know that flashlights too, have different grades and quality? 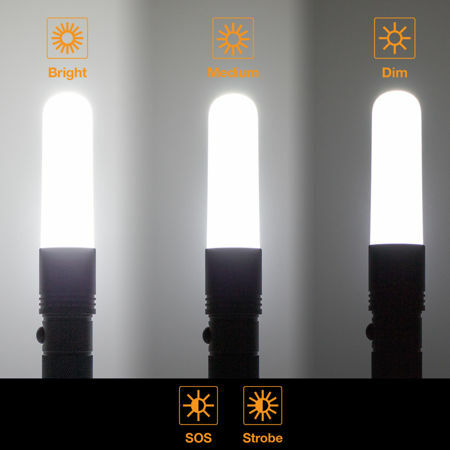 Satechi intends to make life in the dark more convenient for the masses with the announcement of their latest Satechi LightMate. The Satechi LightMate intends to stand out from the rest of the crowd by coming in a waterproof and durable aluminum alloy body with LED as its source of light. Such a solid construction and use of materials would make this the perfect survival kit accessory for you to carry around in your car, or to have it accompany the rest of your camping gear so that users can rest safe in the knowledge that they will always have a source of light, USB battery pack, and emergency glass breaker regardless of whatever situation that they might find themselves in. This knowledge alone would provide a certain level of confidence that is not found elsewhere, making the thought of facing down a natural disaster, accident, power outage, or other unexpected situation more tolerable. In the event of an emergency, the LightMate’s alloy steel tip can also double up as a glass breaker, so that a passenger stuck in a vehicle like a bus or a car can attempt to break a window and make a hurried escape. Apart from that, being waterproof also allows it to withstand heavy rain and even being submerged. There is also a USB charge port which will be able to draw on its power reserves to charge up USB-powered devices such as smartphones and cameras as and when required. The rechargeable lithium-ion battery also comes in handy since you can have spares lying around. With an asking price of $29.99 apiece, the Satechi LightMate does seem to shape up to be a bargain.